November 6, 2012 - Honda Aircraft Company announced that it has commenced production on the much anticipated HondaJet, the world’s most advanced light jet. The company also highlighted key testing milestones that have been successfully accomplished with the HondaJet moving closer to certification and delivery. “An assembly line for HondaJet production is in place, major aircraft components including the fuselage and wing have been produced, and we have started assembly of the first customer aircraft,” said Honda Aircraft President and CEO Michimasa Fujino. Honda Aircraft commenced production of the HondaJet and continues to make steady progress toward delivery of the first customer aircraft. The Honda Aircraft production facility represents Honda’s expectation of high quality product delivery with lean activities designed to standardize production work and eliminate defects. The company has developed and implemented its own production process improvement device, focused on operator work instructions while on the assembly floor. Instructions are presented on a tablet device, allowing technicians to see a graphical interface that is easy to read and is specifically designed to the individual tasks. The device reduces the need for printed materials and ensures real-time change management on the floor. The production facility will also employ an innovative, on-site paint mixing system designed to achieve optimum color while reducing paint thickness in a controlled environment. At the push of a button, this advanced system allows for multiple aircraft to be coated with a single batch of paint, maintaining color consistency. The system also pre-heats the paint, which results in a superior aesthetic quality. Honda Aircraft has also implemented the Automatic Guided Cart (AGC). • Hot fuel testing – Fuel system operational tests were successfully conducted and demonstrated the HondaJet fuel system’s ability to supply fuel to the engine during elevated temperatures. • Fuselage structure temperature validation – Static heat soak tests measured the environmental impact (e.g., air temperature and solar load) on the aircraft’s fuselage and interior. The HondaJet completed a simulated taxi and takeoff, and the aircraft’s exterior surface was examined to determine temperature profile. • Powerplant cooling and electrical generator cooling – Engine and electrical system tests were successfully conducted at critical accessory loads and temperature environment. To assist in remote location testing of the HondaJet, a 42-foot, custom telemetry vehicle entered service in October. The mobile telemetry truck was designed to duplicate the telemetry capabilities at Honda Aircraft’s world headquarters in Greensboro, N.C., and is a fully self-contained telemetry system used to monitor aircraft data during flight testing. The truck has six work stations for analysts to monitor real-time test data within a 200 nautical mile range of the aircraft and allows year-round operation at remote sites. 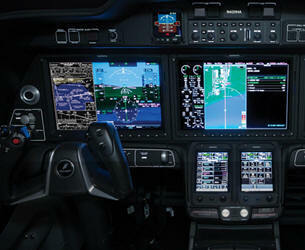 The company’s fifth FAA-conforming aircraft recently completed power-on electrical testing. This aircraft is on schedule to be released to flight test early next year. Now in final assembly, it will be the first HondaJet to have a full production interior. An additional structural test aircraft, the company’s sixth FAA-conforming aircraft, will also join the test fleet next year. Honda Aircraft’s test program currently includes four FAA-conforming HondaJet aircraft: three actively flying test aircraft and one ground test aircraft, which was exclusively used for structural testing and recently retired from the program after successfully completing ultimate load tests.